T.G.I. 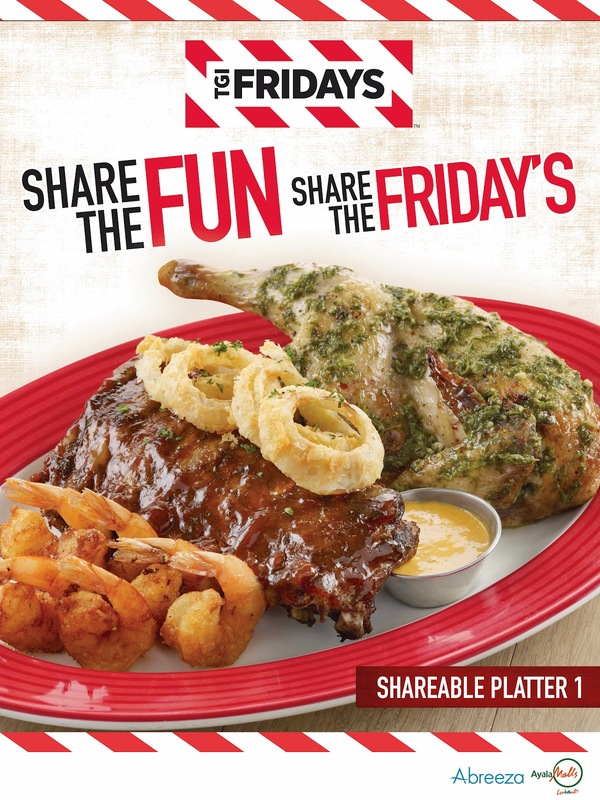 Friday's announces it new offering - the Sharable Platters. These meals can be shared by 3-4 person and comes with unlimited Rice (only in Davao). I've tried Platters 2 and 3, and I enjoyed it. My personal favorite is Platter 3. Ribs Trio: Half Rack Jack Daniel's Ribs, Lemon Brown Sugar BBQ Ribs and Baby Bck ribs. Served with golden fries, crisps onion rings and fresh coleslaw.